This is a recording of one of my most recent live streams. I hope you enjoy it! Jessica Nazarali's signature system has revolutionized her and her clients' business and personal life, and she's* passionate about enabling women just like you to enjoy the same success. * Her straightforward system allows YOU to design the life of YOUR dreams. Now, SHE'S sharing this technique with you! You deserve the opportunity *experience business fulfillment, true financial abundance & enjoy the lifestyle you desire *- all while growing the business of your dreams. *And it’s yours if you want it. * Visit www.jessicanazarali.com to find out more. Anyone who is looking to go to the next level in their business and life in 2019. Whether you are looking for your first $1000 month or $100,000 month this workshop will get you out of your on way so you can step up and be the leader your clients are waiting for. 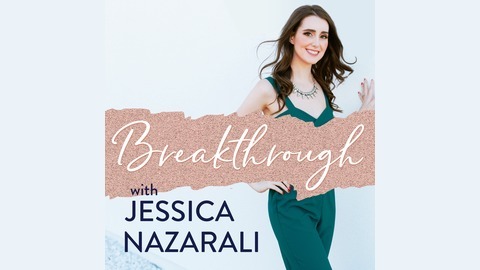 Breakthrough with Jessica Nazarali #12 : When is the right time to have a baby when you have a business? 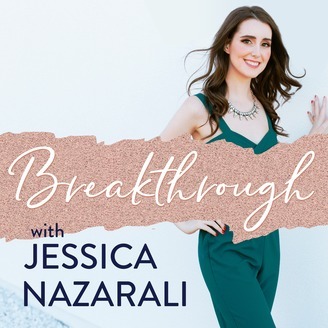 Breakthrough with Jessica Nazarali #10 : Leaving for Bali! !